At least 11 people have been killed and 52 wounded in a suicide bomb attack at the five-star Pearl Continental hotel in the Pakistani city of Peshawar. 'It was a suicide attack,' city police chief Sefwat Ghayur said. 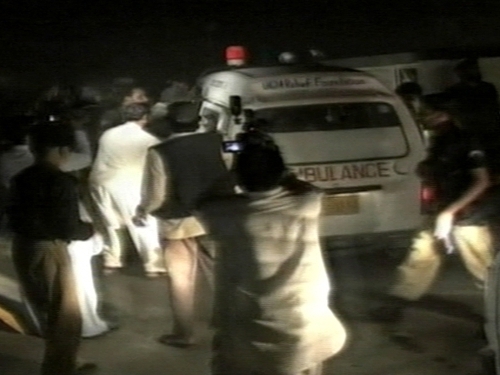 Officials said two foreign nationals, including a UN worker, were among the dead. The blast is the latest in a series of attacks on urban centres in Pakistan in what officials have said are revenge for a military offensive in the northwest against Taliban rebels. The bomb hit the luxury hotel in Peshawar, which is in the north-west of the country, and fire swept through the building. Witnesses and a security official said that the attackers were travelling in a delivery pick-up truck and there was shooting before the blast.